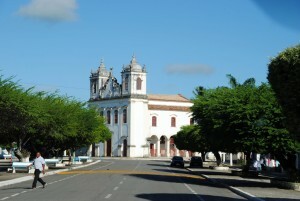 Divina Pastora, which used to be called Ladeira, is a small town in the interior of Sergipe, the smallest state in Brazil. It is situated at the top of a hill. Devotion to Our Lady Divine Shepherdess was brought there in 1782 by the Spanish Brothers, and it ended up by giving the town its name. The small church is dedicated to Mary; the inside is a masterpiece, and today it is recognized as a basilica because of the pilgrims who come there to venerate the Mother of God and to give thanks for the graces received. 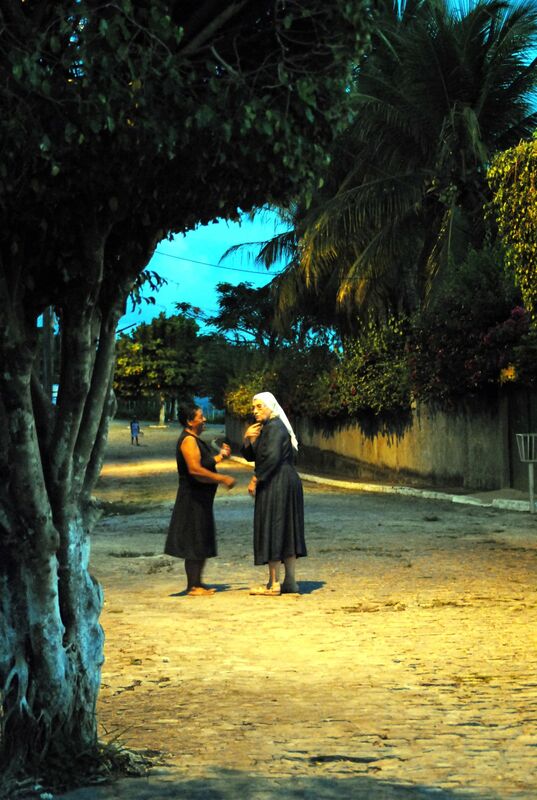 The presence of the Sisters of Sion in Divina Pastora began with the apostolic sisters when, in 1967, Sister Ferdinanda, Sister Vera and Sister Felecidade arrived there. 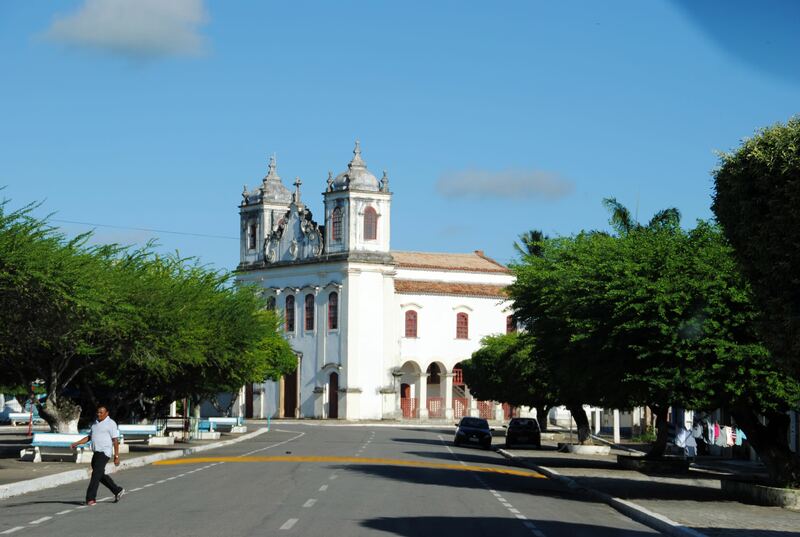 It was the second foundation in the Northeast of Brazil. 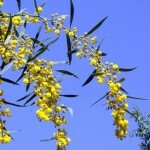 Several sisters succeeded one another and did a lot for the poor population that was lacking in everything. Starting in 1978, they continued to ensure an apostolic presence by coming either from Santo Amaro or from Aracaju. In 2001, three contemplative sisters of Sion from the Curitiba community arrived in Divina Pastora, thus fulfilling an old dream. How did that come about? In 2000, during the Jubilee Year, the superior of the contemplative branch, Sister Jean-François visited the community. She wanted to arrive in Brazil via the Northeast, in order to get to know that region and to encounter Sion’s presence in the states of Bahia and Sergipe. She was enchanted by Divina Pastora, and received the invitation from one of the apostolic sisters for the contemplative sisters to come and live in the house where the apostolic sisters had lived previously. When she spoke of that with the sisters in Curitiba, most of them were enthusiastic about the idea, and Sr. Angela Margarida and Sr. Herminia were asked to go and get to know the reality close up. 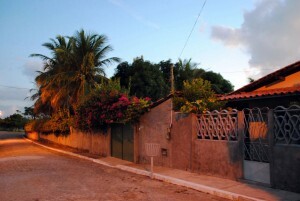 When they arrived in Divina Pastora, they saw right away that the house there would not be appropriate for a contemplative way of life, and they looked for a place where the Solitude could settle. They found land that was for sale, with a small house that would make it possible to begin. When the chapter of the contemplative branch approved the foundation on November 16, 2000, the house was bought. On April 26, 2001, the three foundresses, Sr. Janina, who was in charge, Sr. Maria Herminia and Sr. Silvia-Maria arrived in Divina Pastora, and that afternoon, they took part in the town’s welcoming Mass; it was the feast of Our Lady of Good Counsel. The convent’s official inauguration was on June 14, the feast of the Blessed Sacrament (Corpus Christi), with the archbishop, Dom José Palmeira Lessa presiding at Mass; he was very happy to have a small community in his diocese. The inhabitants welcomed the sisters’ arrival with affection and little by little understood their presence of prayer in their midst, because right from the start, the sisters participated in the parish Masses. At that time, these were rare, as the parish was served by priests who came from elsewhere.